Snip.ly enables the user to place a Call-To-Action (CTA) on ANY webpage! CTAs are an intrinsic part of your content that drives the browser to take an action. They can be displayed as inline text or even an image with the action being anything from ‘Read our blog’ to ‘Download our FREE ebook’. No matter where you deliver your content, whether it be on your social media, blog, ezine, etc. your CTAs will be a deciding factor in what action the browser will take next. However, you generally only have control over your own content. 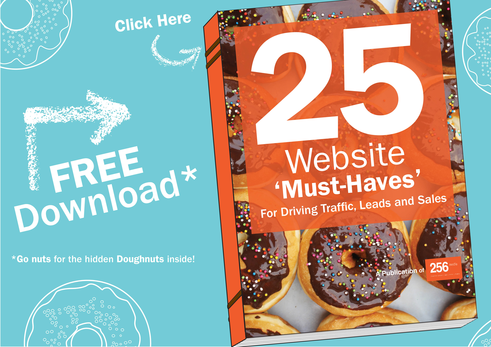 This #256FridayFreebie tool enables you to place a pop-up CTA on any webpage that you link to. 1. Except for the profile image at the left, you can’t create your own image to input into the CTA, everything is created within the tool. 2. There are some customisation options available, although while using the free version they are limited. I can change the CTA to fill only half the width of the page and change the text in the ‘Click here’ button. However, this is the free version – so you’ve got to expect a bit of that! All in all it’s a unique and useful tool for your digital marketing tool box. If you would like expertly made and bespoke CTAs for your content and digital marketing, you can get in touch with us at 256 Media for a free one hour consultation.